The human factor is a fundamental aspect of our business. We consider, the quality of the product is only as good as the team that produced it. That is why Aress takes pride in the knowledge and expertise of our development and support team. We do our best to make sure each customer is both comfortable and confident in working with our team. We believe the ONLY way to truely deliver solutions that meet the unique and specific business needs of our customers is to have personal and direct interaction from start to finish. Our project manager and sales staff will set proper expectations and goals, and we encourage direct customer-to-developer interaction throughout the project. Our leadership team has over 90 years of management experience between them. We are committed to driving value to our customers through a wide range of well-conceived and delivered services that comprise a one stop IT solutions offering. Rahul is our founder and CEO. He has over 2 decades of experience in IT and Manufacturing industries. He has strong communication skills, both written and oral. He is active in business development at Aress and helps us foray into new technologies and areas of specialisation. He has a MS degree in IT and is currently pursuing a PhD in Computer Science. At heart, he is a running enthusiast and runs marathons all over the world every year. Alan has worked with offshore outsourcing for over 25 years including running a 400-person software company in Bangalore for 2 years. He has been associated with Aress for more than half of that 25 years and has been Business Development Director for much of that time. Based in Chester in the UK, he has many UK clients, but also has customers in the US, Australia, South Africa and elsewhere. His deep knowledge and experience of Indian offshore outsourcing is a source of comfort to those companies venturing into that world for the first time. Even after winning new customers, he stays involved in their projects on a continuing basis to make sure that all goes well. Some have been with Aress for about 10 years so he must be doing something right! An operations and resource management strategist, Vrushali brings more than 17 years of rich IT industry experience in Operations Management, Resource Management and Business Development, and is able to relate to the mentioned areas in giving a firm base for client satisfaction and company growth. Innovative professional with more than 18 years of experience in driving software development teams with proven ability to identify, analyze, and solve problems to increase customer satisfaction and control costs. She works as a liaison among stakeholders in order to identify & define the business need, and to recommend solutions that enable the organization to achieve its goals. Since Priya has a developer’s background, she has gained proficiency in programming logic, business analysis, project and process management. Having worked with international clients over the past 18 years, she possess expertise in managing cross culture – geographically spread teams and projects. Nitin Bhosekar heads our Analytics, Big Data, BI and DW practice and is company’s Executive Vice-President as well. Nitin has built a career on gaining business insight from data. He is a hands-on leader in business intelligence, big data & analytics with over 25 plus years of international experience. Nitin’s passion lies in building user-centric data analytics capabilities that align with business strategy and produce actual value to the business. Nitin holds a master’s degree in business administration from Victoria University, Melbourne Australia and has completed his general management program from IIM, Bangalore India. Nitin is also an experienced management consultant who has implemented data focussed projects and strategies for several of the Fortune 1000 organizations; in industries including financial services, insurance, healthcare, life sciences, manufacturing, retail, logistics and transportation. A MBA professional with 23 years of extensive and vast experience in training and education sector. His expertise include offering Skill Development Training solutions in IT as well as Non IT domains for various State Government and Central Government initiatives under PPP model. 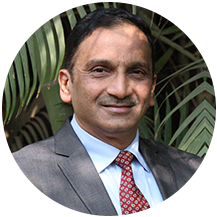 He spearheads the Skill Development training initiatives of the organisation that are aligned to organization’s vision of being a socially responsible organization that constantly contributes to the Skill India initiatives being undertaken by various ministries of Central Government as well as different State Governments. Starting as a humble HTML coder in the 1990's Jason now has over 25 years' experience as a dedicated professional with extensive Project Management, I.T & M-Commerce Management. Over the last two years Jason has mastered the CRM Salesforce. He regularly contributes to online forums, blogs & attends Salesforce events the world over. Jason travels the length and breadth of Europe to visit Aress Salesforce clients. His confident approach to Salesforce and your business needs are second to none and once SFDC is installed for you he will visit regularly to Health Check your CRM. Now Aress have been awarded the Silver Partner Consulting status - Our Salesforce Europe Practise has never been in more demand. Contact Jason today to find out more.